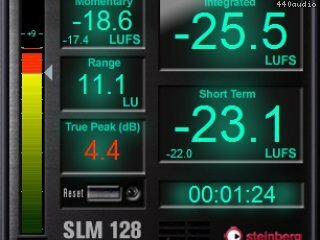 In response to customer requests, Steinberg has developed the SLM 128, an unsupported VST 3 plug-in that provides European Broadcast Union (EBU) R 128-compliant loudness metering. 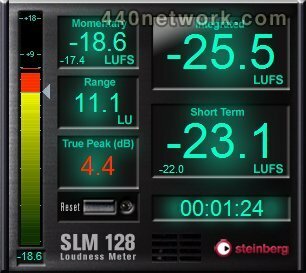 The SLM 128 features an integrated metering scale and displays Momentary, Integrated and Short Term loudness levels. The plug-in is available free of charge for Cubase 6.5 and Nuendo 5.x users.